The Academy of Notre Dame is home to students from all over the Greater Philadelphia Region. Our location on PA Route 320 is easily accessible from many major highways as well as SEPTA’s regional rail line (shuttle van service to and from the Bryn Mawr station is provided). Public school districts within a 10-mile radius will transport students to Notre Dame. Outside of that radius, three private busing options are available for an additional fee. Please contact the Office of Admissions at 610.971.0498 to discuss transportation options from your area. Due to the high demand for the shuttle van service to and from the Bryn Mawr SEPTA train station, riders now need to pay to utilize this service. Please contact Josh Yates for pricing information, general questions, and to learn about our discount for students who ride the train. 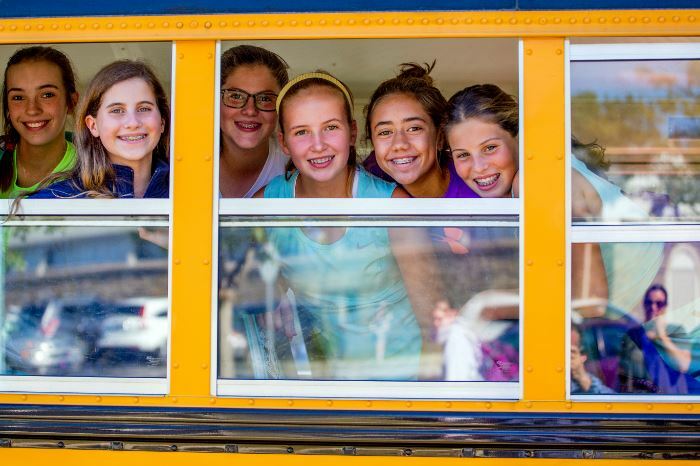 Notre Dame offers private busing for areas not serviced by public school districts (fees apply). Private bus routes change yearly according to ridership needs. Bus picks up and drops off at the Wegmans Cafe, Providence Town Center, Collegeville (partnership with Malvern Prep). Pick-up and drop-off locations are dependent upon the riders address. Questions can be directed to jyates@ndapa.org.